Numerous sites and sportsbooks have begun to spring up on the internet in order to cater to the vast world of esports. There are so many new bookmakers that it can be rather daunting to know what is good and what is not, so we’ve outlined the best sites and what makes them so. In this article, we’re here to help new players find their feet in the world of online Dota 2 betting. This will include outlines of the best bonus offers, the security features that are in place on a given website, as well as all the options that are available for payment methods, including real money transactions, cryptocurrencies and skin payments. These are the top five Dota 2 betting sites. Each of them offers a range of different options within their platform but all adhere to strict security protocols, good game selection and much more. Each of these sites is highly trusted because they offer a secure system preventing third parties from getting access to player data. In addition to this, they are all licensed with various different jurisdictions, meaning that they are monitored by an external source and therefore ensuring that players have some kind of protection when they play. They also undergo gaming fairness audits on a regular basis, which means that the system is operating in an unbiased fashion. In other areas, these sites also offer a well-rounded selection of betting options on Dota 2 games, something that is highly important when it comes to making good betting decisions. They also offer competitive odds and players can check around to validate this and see where the best odds lie. Each of these sites offers a wide range of payment options as well, which allows players to find the one that suits them the most. ArcaneBet is a relatively new site that offers players a large number of different esports games. They have a number of different payment options but the big plus here is the fact that they offer the skins payment option. They also offer an excellent welcome bonus of 150% on the first deposit up to a value of 150.00. The platform itself is easy to use and has an impressive game collection. Betway, on the other hand, has been around for a while and know the online betting game inside and out. Recently joining in on the esports action, Betway has teamed up with Ninjas in Pyjamas, allowing them to offer players a comprehensive blog on all the current esports action – something that can prove invaluable when trying to place bets. There is an excellent selection of esports games available, including Dota 2, and they offer some of the best odds in the industry alongside one of the best range of betting options out there. Highly user-friendly and with excellent customer service, Betway remains one of the go-to sites in the esports betting world. EsportsBetting.com hosts esports, sports and casino games. The site is regulated by the Malta Gaming Authority, which makes the site stand out against many of the others as this jurisdiction is known for its stringent rules, ensuring that players are always safe. The site also offers top-level odds options and, though new to the online world, it offers a comprehensive site with easy access to various areas. Rivalling many of the longer-standing sites, they offer a number of live stream options of betting as well as competitive odds on most of the top tournaments. There are always new sites emerging for Dota 2 bets and at Esportsbets24.com you can find constant updates and reviews on these pages. This is very important as it helps bettors to make more informed decisions about the new sites. Sometimes sites can be of dubious quality and catch new players unawares with tricky bonuses, unexpected wagering requirements, or just all-around poor service. On the other hand, many of these new sites are exceptional, having been built off the back of other, more longstanding sites. With all this in mind, we offer excellent and insightful reviews in order to give players the best chance at finding the right site on which to play. When it comes to money betting, there are a number of things that players can do to improve their chances of making a winning bet. In this specific area, it is important that players firstly understand the game itself (https://www.youtube.com/channel/UCzBBrntR6XKDhNVFGBCDgKg) and know what the expected outcomes are, what can be bet on and such like. In this vein, it is therefore very important to know the different teams and the players within. Teams have different gameplay styles, and when pitted against an opponent may very well play with a different style in order to beat them, something that is important for a new bettor to learn. Much of this information is contained on the prolific social media sites that are available for each of the teams. 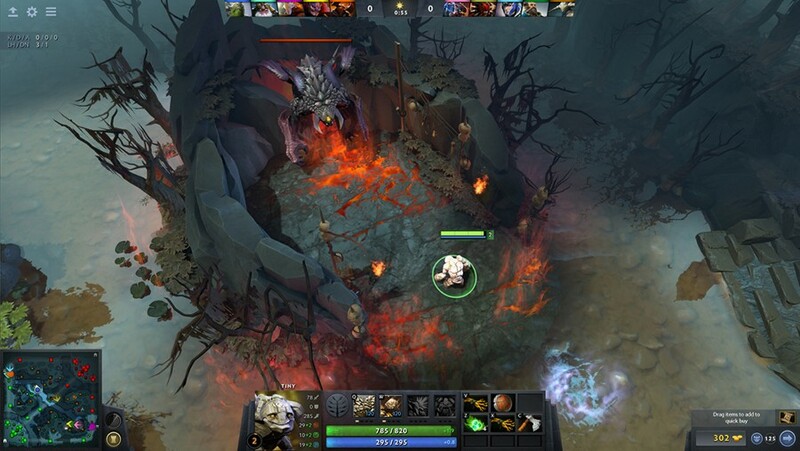 Continuing on with the theme of knowing the games, it is also important for players to know the various maps, though this does not carry quite such importance in Dota 2 as it does for other games. The maps offer different advantages and disadvantages, some of which will be affected by the various playing styles of the teams. The last part about becoming a better bettor is to do with the value and the odds. Especially when starting out, players are recommended that they start with placing bets on odds that are most likely to win. Whilst an underdog may have better odds and could pay out a higher rate, they are less likely to succeed and therefore for a first timer it is prudent to take a bet out on a guaranteed winner just to get the feel of the gameplay. Of course, there are also a number of bonuses offered by the different esports bookmakers and these can alleviate some of the pressure that comes with making a first bet, and will allow players to explore and experiment making different wagers. As a new player it is very important to understand the odds of a game, however, often these are written in different formats. They can be listed as either fractions or decimals and it is important that players understand the meaning of them. Most sites will offer odds in both formats so that players can understand them no matter which format type they prefer. For example, a fractional odd of 3/1 is written as 4.00 in decimals. This means that if the player was to place 1.00 on the bet and there was a win, they could expect a return of 3.00 in the case of the fraction, and 3.00 plus the original 1.00 bet for the decimal odd. For bets on Dota 2 matches, players should also understand that there are a wide variety of betting options. There are of course the usual simple bets, such as predicting which team will win in a game or the tournament as a whole, but there are a number of smaller bets available as well. For example, Dota 2 is played on one map that has two sides. The top section is Dire, the bottom Radiant. Players can bet which map a team will pick, whether they will drop a map or even win a series. Once players are proficient, they can move further and make handicap bets on Dota 2 using such bet options as total kills and see an improvement in value. Can I claim free bets bonus offers? All of these betting sites are actually free to join and offer different welcome bonuses to new players. Many sites provide free bets, which come as a specific amount and can be wagered on a particular event. There are also deposit bonuses that are available, such as the one from Betway where players can receive 150% on their first deposit up to a value of 150.00. Dota 2 is a multiplayer game sent in a battle arena. It was initially developed by Valve Corporation and is rather similar in look and style to League of Legends, though the actual gameplay of the game is much different. The game itself is a sequel to the original Defense of the Ancients and was released for free on Steam in 2013. Considered by many to be harder to play than the aforementioned LoL, Dota 2 is a challenge that many players relish as it offers great gameplay, all within a top quality graphics production. Choosing the character to play as is one of the most important aspects of the game and it is important to understand the skills that each character brings with it. There are different types of hero characters; ‘tank heroes’ drawing enemy focus; ‘the carry’ who takes much of the team’s damage; ‘support’ who buy magical wards to give vision; and ‘pushers’ who bring down enemy towers, just to name a few. Throughout the game, it is also important to buy items, as these will improve the specific skill set of the character, making them stronger, faster or nimbler as the characteristics dictate. Items are paid for in gold, which is earned every few seconds without the need to make a kill. There are numerous different winning strategies but these will depend on the number of players participating, the part of the map that is being played and also the opponents. Winning occurs by destroying enemy towers with the primary goal of destroying the main one, Ancient. This is always to be found at the exact opposite side of the map to the one the team began on. On the flip side winning can also occur if the team is playing defence and they must, therefore, prevent the other team from destroying their tower at all costs. As with anything in life, improving is simply a matter of time and practice. For many new players, it is recommended that they start by playing the Bots. This allows players to get used to the controls and the style of the game before attempting to join a team. Using the practice with bots feature, allows players to select the team and the difficulty level that they wish to play at. Alternatively, players can join a coop match and play with strangers. Once the player has the hang of the game as a whole, it is time to test these skills out against one’s friends and more experienced players who can continue to give advice to those who are still learning. As previously mentioned, there are a number of bonuses and promotional offers available depending on the site that the player signs up to. Free bets offer small cash amounts that can be wagered on a bet whilst other options can include match deposit bonuses. There are a number of big tournaments available to Dota 2 players. The most important of these are labelled as Premier Tournaments and offer the biggest prizes to the best teams. They are considered to be rather prestigious events and are held regularly around the world. The biggest ones that are held on an annual basis include The Dota Major Championships, The International, Dota 2 Asia Championships, The Summit and EPICENTER. Dota 2 betting sites are constantly improving as they strive to ensure that they meet all the player’s demands. With improvements in the betting options, game markets, odds available and payment options, soon it will be possible to wager on games in any way imaginable. Added to this is the chance to actually participate in live betting, watching the games as they play out in real time. With all the information on betting on Dota 2 it is now time to go out there and get started, so what are you waiting for? Find a site, sign up and start placing some bets!